UST operator training in Ohio is required by federal law and is intended to ensure that those who own and operate underground storage tanks understand how to operate and maintain UST systems properly. Ohio Class A operators have primary responsibility for on-site operation and maintenance of a UST facility. This individual is generally the owner of the station or the designee. For large corporations, this person is the manager or designee responsible for tank operations. Ohio Class B operators have responsibility for the day-to-day aspects of operating, maintaining, and record keeping of a UST facility. This individual (or individuals) is generally the owner or the person/company contracted by the owner to maintain the tanks. For large corporations, this person is the employee, or person/company contracted by the corporation to maintain the tanks. Ohio Class C Operators are the first responders to emergency situations at a UST facility – like a gas station or convenience store. These individuals are usually the clerks of a facility. The Ohio Department of Commerce – Division of State Fire Marshal – Bureau of Underground Storage Tank Regulations (BUSTR) has been designated to protect public health and the environment through oversight, investigation and cleanup of soil and groundwater contamination caused by releases from USTs. The Ohio Fire Marshal’s Bureau of Underground Storage Tank Regulations (BUSTR) regulates underground storage tanks (USTs) that contain regulated substances. Ohio UST owners and operators have been required to identify three classes of UST operators at their UST facilities and have these operators trained by August 8, 2012. (1) The owner or operator of the UST system is responsible for ensuring that the Class A, Class B, and Class C operators fulfill their responsibilities under this rule. The owner or operator of an UST system shall designate a Class A, Class B, and Class C operator for an UST site. A Class A operator has primary responsibility for achieving and maintaining compliance with statutory and regulatory requirements and standards necessary to operate and maintain the UST system at one or more UST sites. A Class B operator has primary responsibility for implementing applicable requirements and standards for UST systems at one or more UST sites. A Class C operator is responsible for the initial response to alarms or other indications of emergencies caused by spills or releases from a UST system and notifying the Class A or Class B operator and appropriate emergency responders when necessary. Not all employees of the facility are required to be Class C operators. Any newly designated Class A or Class B operator shall be trained within 60-days of assuming responsibilities as a Class A or Class B operator at an UST site. Any newly designated Class C operators shall be trained before assuming responsibility as a Class C operator. 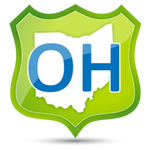 Ohio has not yet been granted state program approval (SPA). If the Bureau of Underground Storage Tank Regulations (BUSTR) determines an underground storage tank system is out of compliance, the class A or class B operator, or both, must be retrained. As a result of the retraining of Class A operators or Class B operators, subsequent re-training of the Class C operators shall also occur. Voluntary refresher training is encouraged to ensure operator is up-to-date with current regulations and procedures. We offer online UST operator training in Ohio for: Columbus, Cleveland, Cincinnati, Toledo, Akron, Dayton, Parma, Canton, Youngstown, Lorain, Hamilton, Springfield, Kettering, Elyria, Lakewood, Cuyahoga Falls, Dublin, Powell, Canfield, and many more! Columbus, Cleveland, Cincinnati, Toledo, Akron, Dayton, Parma, Canton, Youngstown, Lorain, Hamilton, Springfield, Kettering, Elyria, Lakewood, Cuyahoga Falls, Dublin, Powell, Canfield, and many more!